Colchester Borough Council is preparing a new Local Plan and, if various social media are anything to go by, there is a deal of confusion between that and the Wivenhoe Neighbourhood Plan, so a few words about the difference. This is the website link where you can read about CBC’s consultation on its new Local Plan. 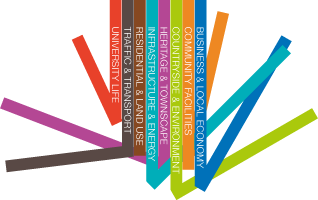 The consultation runs until 27 February and taking part in it is the way you can tell Colchester BC about your views on what should be priorities for its new plan: anything, from house building to green spaces to road infrastructure. The reason it’s important to express a view is that, along with Tiptree and West Mersea, Wivenhoe has been earmarked as a district centre where proportional growth is expected to happen under the new Plan. In the meantime the Wivenhoe Neighbourhood Plan is also developing apace. These two Plans have a degree of inter-dependency: amongst other things, they’re not allowed to contradict each other and, in the legally prescribed hierarchy of things, that means that the WNP couldn’t stipulate for fewer houses than the CBC new Local Plan might come up with – if it comes up with any specific number. As said: at present, the consultation mention proportional growth only, without going into numbers. The WNP’s Land Use and Zoning working group is hard at work ascertaining, first what new housing development Wivenhoe actually needs for itself and second, where if anywhere in Wivenhoe that development could go. This is all dependent on the available sites. A number of local landowners have indicated their willingness to submit some of their land for development- not just for housing but for community structures as well. That doesn’t mean that all such sites will automatically be considered for development. At the public consultation last November you voted on a number of criteria that you, as residents, thought should be considered here. The steering group analysed all votes and amalgamated these into Site Allocation Criteria against which all submitted sites will have to be screened. Even if a site ticks all these boxes there will be another ‘sieve’, this time against Environmental Assessment criteria. Some of these will be taken from the Strategic Plan that is in force for the Borough, some of them derive from EU legislation. Eventually all this work will be reflected in a draft Neighbourhood Plan which will be widely published for residents’ comment. While all this is going on at Wivenhoe level it is important not to lose sight of the importance of the Colchester new Local Plan consultation because, as explained above, there is an inter-dependency between the two Plans and whatever it is you want to happen in Wivenhoe can only ultimately be influenced if the CBC’s new Local Plan doesn’t cut local aspirations off at the pass. The council have a duty to keep Wivenhoe separate from Colchester has it has been for around a thousand years! Wivenhoe residents do not want to see Wivenhoe become a suburb of Colchester.The council keep allowing new properties to be built ever closer to Colchester and if their allowed to continue with their grand scheme Wivenhoe will become part of Colchester a lot sooner than we may think.